The Roman Colosseum is one of Rome’s most iconic sites. It represents the superb engineering and architecture of the Roman Empire as well as the fascinating history of the city of Rome. Indeed no visit to Rome would be complete without a visit to the Colosseum. The Colosseum was commissioned by Emperor Vespasian in the year 72 A.D. and later completed under the rule of his son, Titus in 82 A.D. The final modifications were completed during the reign of Domitian, the brother of Titus, who ruled from 81-96 A.D. The original name for the Colosseum was the Flavian Amphitheater, which was derived from Flavius, the family name of the emperor and his sons. Unlike other amphitheatres built before it, the Colosseum was built in the heart of Rome as opposed to in the outskirts. It was literally erected in place of the lake that Emperor Nero had designed in the landscaped gardens of his villa Domus Aurea. 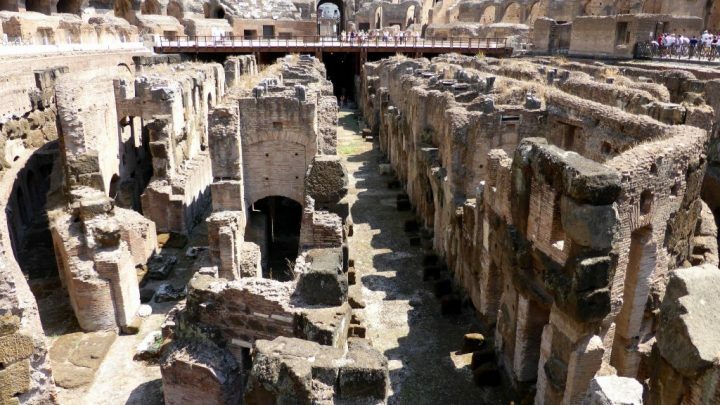 The area was previously densely inhabited but after the Great Fire of Rome of 64 A.D. destroyed the homes in the area, Nero commandeered the land to build his villa. The choice of building site represents a symbolic return of the land to the people after it had been appropriated by Nero. 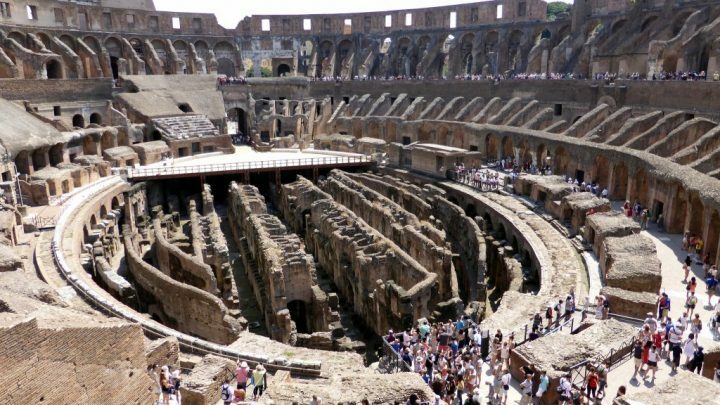 In ancient Rome, the Colosseum was used to host gladiatorial contests, wild animal fights, executions, dramas, reenactments of battles and other public spectacles. At the inaugural spectacle in 80 A.D., over 9,000 animals were killed in wild animal fights. 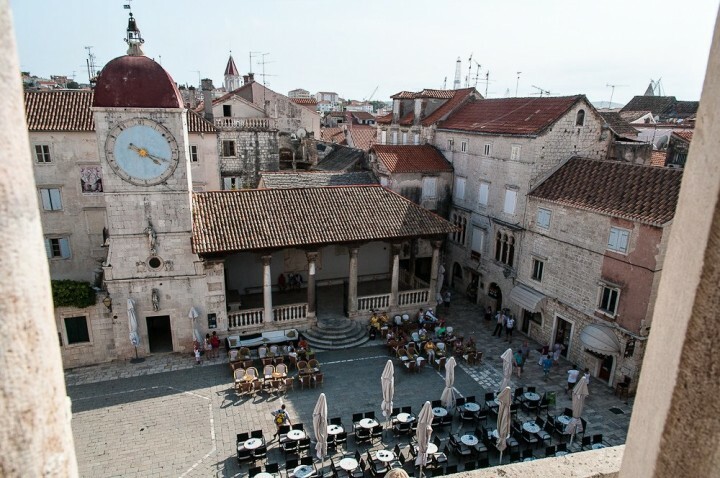 The gladiatorial contests and animal fights continued for several centuries. The last known gladiatorial contests were in the year 435 and the last known animal fights were held in 523. During the medieval period, the Colosseum served as a castle, a cemetery and a workshop. 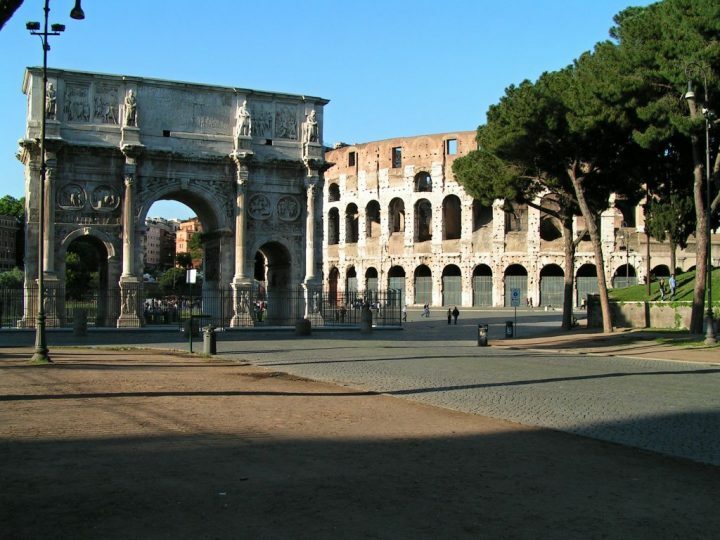 Later, during the 16th and 17th centuries, the Catholic Church began to show interest in the Colosseum. One church official proposed setting up a wool factory in the amphitheatre to provide employment to prostitutes. Another official managed to authorise its use to host bullfights though the authorization was later revoked. 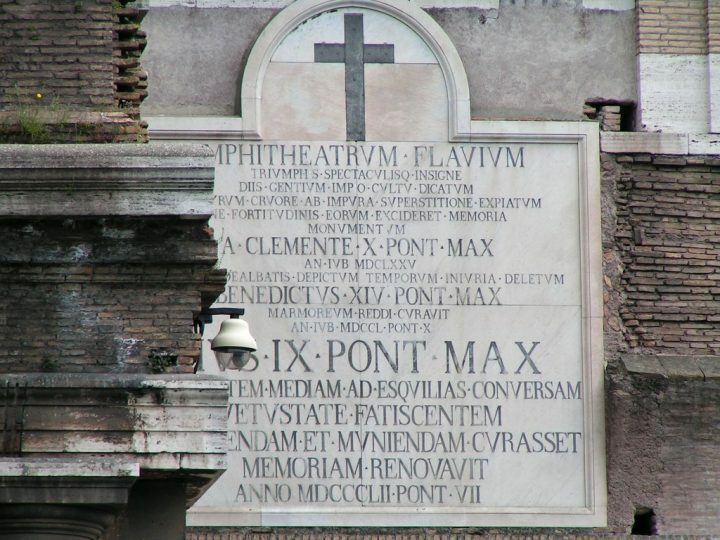 Pope Benedict XIV consecrated the Colosseum because he claimed it was the place where Christian martyrs had died years before although no historical evidence supports this claim. Subsequent popes and Benito Mussolini promoted restoration and excavation projects as well. The size and excellent preservation of the Colosseum rarely fail to impress the visitor. The amphitheatre is elliptical, measuring 88 meters long and 156 meters wide. 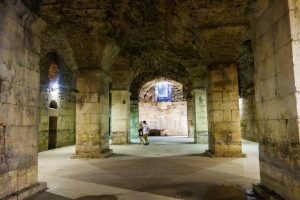 The 80 arched entranceways provided access to the 55,000 spectators who could be accommodated in the amphitheatre at any time. The seats are arranged in tiers. Spectators in ancient Rome were distributed among the tiers according to their social strata. Separate areas were proportioned for senators, the non-senatorial noble class, plebeians and wealthy citizens. 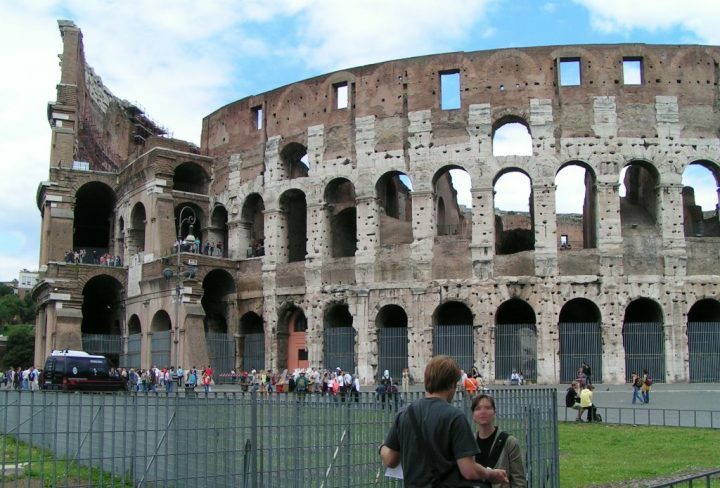 Interestingly, actors, gravediggers and former gladiators were banned from the Colosseum. Today, the Colosseum is one of Rome´s principal tourist destinations, attracting millions of visitors per year. It is one of the most well-known symbols in Rome and is well worth a visit for any tourist in Rome. While you enjoy your travels around Rome, you’re going to need somewhere to stay. 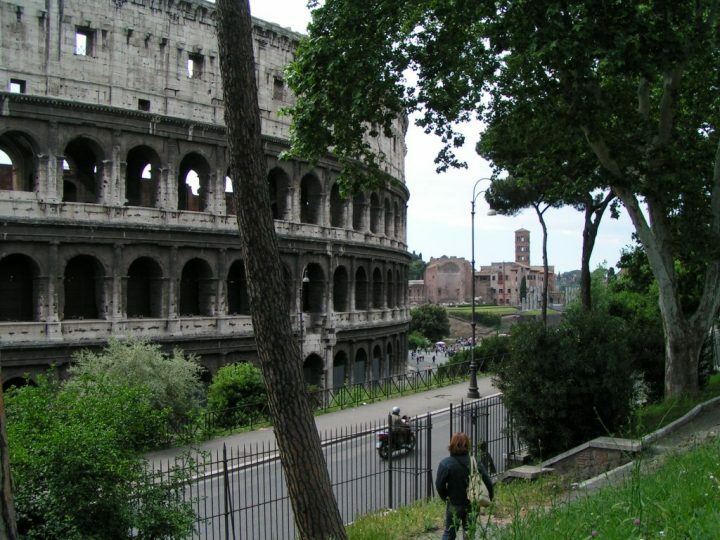 Why not check out some of the beautiful Rome vacation rentals listed on Booking.com! 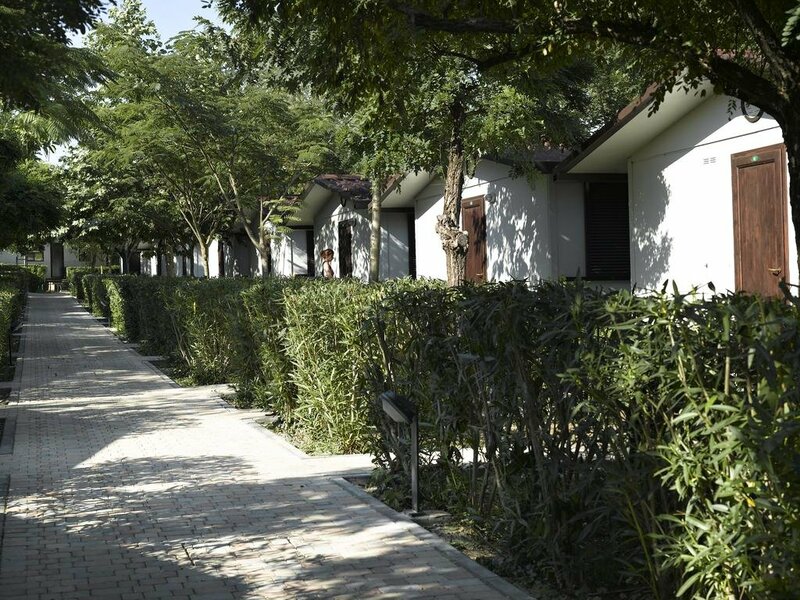 On our trip to Rome, we were staying in a small bungalow set in a wonderful garden of Happy Village Camping. As we prefer cheaper accommodation and always want to see also other parts of the city. I can only recommend this for you as well! However it is not too close to the city centre, but it offers everything one family needs on holidays, including perfect restaurant, pools, free shuttle bus and a quietness which is really appreciated at least after a day in Rome! 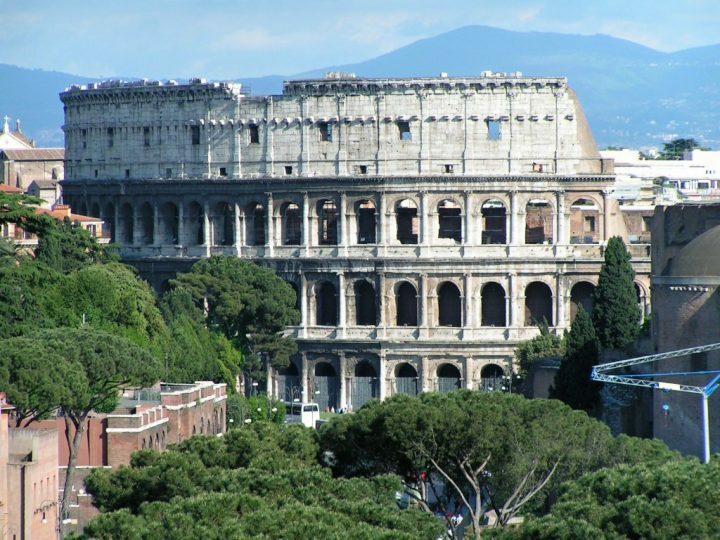 There are countless attractions and other sights to see in Rome. 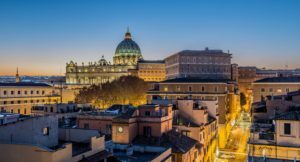 I have prepared another article about 30 most beautiful places to visit in Rome, which is a good source of information for those planning a trip to this amazing city. And if you plan to visit also other equally beautiful places in Italy, my article about 100 Best places to visit in Italy come in handy!